Decorating your home is one of the most enjoyable household tasks, the only problem is that all of the decor costs really start to add up. 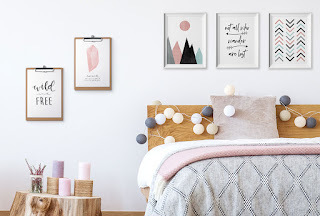 These free wall art printables are elegant, simple, and pair beautifully with other pieces due to their clean design. Hang them up as they are or try printing them on cardstock and framing them for a refined look. There are five printables available, each of them unique but still cohesive. They work well as single prints, or all together for a gallery look. Personalize your space by mixing the printables in with photo prints of friends and family! Ordered this Oct 6/08 - will post back when it arrives. I asked for the Tote bag.